We are a residential children’s camp in Ontario that has been privately owned and operated since 1966. Children from all over the world, aged 7-16, come to experience “The Ultimate Hockey And Summer Camp Experience” on beautiful Eagle Lake. Wondering what makes us different? With a capacity of 240 campers per week and 100 staff (1 staff to 2.5 campers), the beauty of HOC is that we are large enough to offer diversified camp programs to suit every camper's needs. 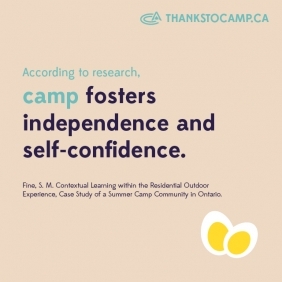 Yet, with a small camper-to-staff ratio, we also have the resources to ensure campers and parents feel connected to the camp community and that their specific needs are heard, acknowledged and met. Click on a link below to learn more about Hockey Opportunity Camp. Our tradition of excellence is built upon the strength of our staff. Each staff member brings with them commitment, enthusiasm and compassion for children. All HOC staff training is designed around four core principles: Community, Leadership, Accountability & Performance. Each staff member is trained and evaluated on their delivery of these four principles on a daily basis. This creates a very positive camp atmosphere for our children. Many of our campers find out about HOC through word of mouth, therefore, our goal is to continue to provide the same rewarding camp experience that has come to be expected from HOC over the years. In addition to hockey, we provide an overnight camp and overnight water ski program that does not include hockey instruction. This is the perfect option for family members or friends with other camp interests to share in the HOC camp experience.